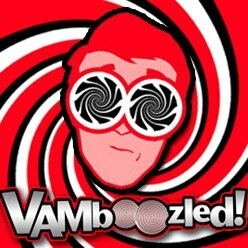 EVAAS’s SAS Inc.: “The Frackers of the Educational World” | VAMboozled! This entry was posted in General and tagged Costs, EVAAS, High Stakes, States, Statistics, Tests by Audrey Amrein-Beardsley. Bookmark the permalink. I live in Ohio. About two years ago I emailed a request to ODE. I wanted to know the formula used for the value-added scores. They said it was proprietary. I knew that because the contract went to SAS for EVASS. I asked for technical reports. A few were sent, all written by SAS PR people in order to vamboozle the decision makers. A few were defenses of the measure from Wm. Sanders. I asked for a copy of the contract for services. I can’t remember the details and don’t know if I can retrieve the file. It was for two or three years, several million dollars, including reports in user-friendly format. I did not pursue that line of inquiry because I became pre-occupied with equally flawed and heavily marketed SLO process for Ohio Teachers of “non-tested+ subjects. Both formats for scores count for 50% of a teacher’s evaluation here. I am still looking at the three recent USDE contracted studies of SLOs and variants. Not a even a thimbleful of peer-reviewed research supports this migration of Peter Drucker’s management-by-objectives process into a major teacher evaluation strategy…except for research on direct instruction and teaching to the test, neither mentioned as the essence of the this “alternative” to VAM. I love that the USDOE pushes reliance on “scientifically-based research” for states/teachers/districts, yet ignores scientifically-based research when it comes to their pet agendas and schemes, like VAM. Hypocrisy at its finest. And proprietary too? Good lord.